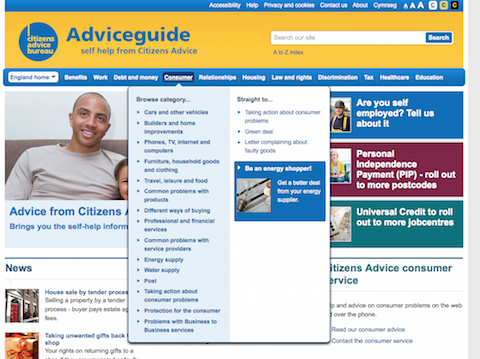 Did you know that the Citizens Advice Bureau has a free online service that aims to help people understand their rights and entitlements and to take the first step toward resolving their problems? 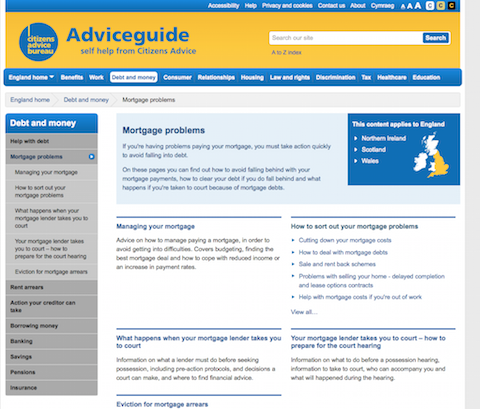 Launched in 1999, the website, called Adviceguide, was first used by CAB staff and advisors to check facts and details about advice they might be giving to clients. But public use of the website has increased considerably and it now receives more than 20 million visits a year. 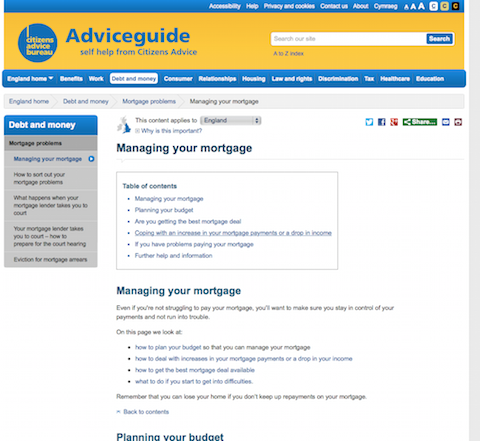 Adviceguide has been designed to make information quick and easy to find. It offers self-help information on benefits, work, debt and money problems, consumer issues, relationships, housing, law and rights, discrimination, tax, health care and education. It means that, in some cases, people are able to resolve their problems themselves; or the information will signpost them to someone who can help; or have a better understanding when talking to an advice agency later. Where appropriate, users are clearly directed to further sources of expert advice. For example, users can also find details of their nearest bureau through the directory of CAB services across the UK in the ‘contact us’ section. The website is organised into 11 categories which are listed at the top and in the footer of every page. When you hover the mouse over each category title a drop-down menu appears – this shows the main sub-categories and other relevant items. If you click on the category title you will go to the main category index page which will show how the information is arranged into sub-categories. These are shown in the left-hand navigation pane and in the central panel. The sections in the central panel shows the documents within each sub-category. Related FAQs, fact sheets and tools are shown below the left-hand navigation pane. 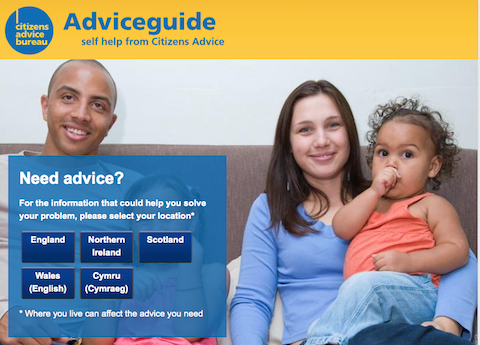 “It makes advice available 24 hours a day – a great help, for example to the housebound, disabled and employees who cannot always access a bureau. “We find that clients really like the fact sheets – they are written in very clear and easy to understand language. They help people understand what their next steps to should be in order to start to resolve their problem. Guildford CAB, 15 to 21 Haydon Place GU1 4LL, is open on Monday, Tuesday, Wednesday and Friday from 10am to 4pm. Thursday from 10am to 6pm, and Saturday from 10am to noon. Ash CAB, Ash Hill Road, Ash GU12 5DP (at the rear of the Ash Centre), offers drop-in sessions, Monday to Thursday, 9.30am to 1pm; appointments, Monday to Thursday, 1.30pm and 2.45pm; and a telephone advice service on Fridays between 10am and 1pm. ← Previous Previous post: A TEAM of residents has established a community group with the aim of creating a parish council for Bookham.